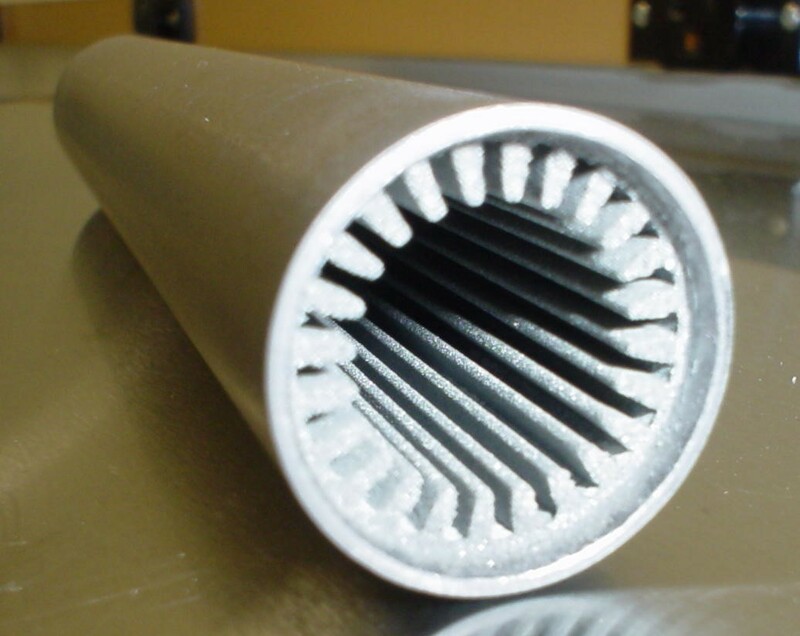 Sintered heat pipes are one of the two primary heat pipe wick types used in terrestrial heat pipe applications. They are always used for high volume heat pipe production (such as laptops), where tens of thousands of identical heat pipes are made every day. Compared with the other terrestrial wick, screen wicks, they are suitable for higher accelerations and higher heat fluxes. On the other hand, they have a higher variability from heat pipe to heat pipe. 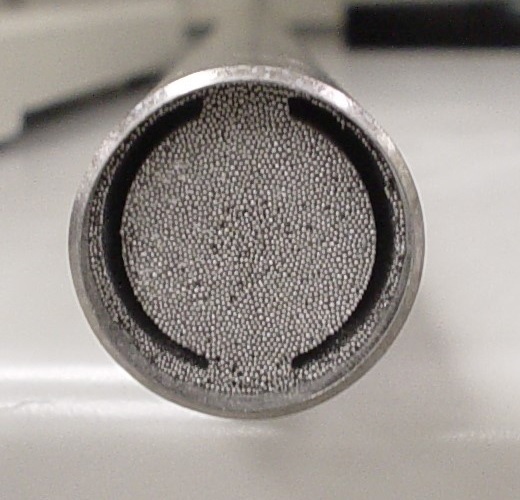 Sintered wicks are most often used in cylindrical heat pipes. They are also used in high heat flux vapor chambers, with a monolayer wick and feeders in the high heat flux area; see Figure 1. In addition, they are used in specialty designs, where the wick occupies most of the heat pipe cross section; see Figure 2. This wick was used in a high temperature water heat pipe, where vapor pressure was very high, minimizing the vapor pressure drop. The liquid pressure drop was minimized by using most of the cross-sectional area for liquid flow. Figure 1. Hybrid heat pipe wick for high heat fluxes in a vapor chamber. Figure 2. 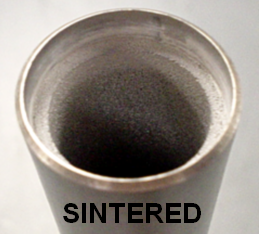 Specialty sintered wick design, where the wick occupies most of the heat pipe. Figure 3. Grooved wick formed by sintering titanium powder in a titanium envelope. Sintered wick heat pipes are almost always cylindrical, although sintered vapor chamber wicks are also fabricated. During the heat pipe manufacturing, a (typically) cylindrical mandrel is inserted into the heat pipe, and held in place with endcaps. The sintered powder is poured into place in the annulus between the heat pipe and the mandrel. The system is then heated up to sinter the material together, and to the heat pipe wall. The mandrel has a coating to prevent the wick from sintering to it. After the heat pipe is cooled, the mandrel is pulled out of the heat pipe. The heat pipe endcaps and fill tube are added, and the heat pipe is charged with the working fluid. When clean metal particles are heated to about 80% of their melting temperature, they start to sinter together. This is similar to the behavior of ice cubes in a freezer, which gradually bond together (your home freezer is within 20°C of the melting point of ice, 273K). Sintering is driven by a reduction in surface energy, which is high for small metallic particles. The atoms from adjacent particles form bonds, and the powder particles start to fuse together. An example is shown in Figure 4 for sintered, spherical copper particles. Figure 4. SEM photo of sintered copper powder. The two arrows show examples of the bridges forming between the spherical particles. Sintered heat pipe wicks typically have a porosity of roughly 45%. This is similar to the porosity of close packed spheres. Figure 4 shows that this is a reasonable approximation of the sintered spheres. The porosity can be as high as 65-70% for LHP wicks with filamentous wicks. In contrast, most industries use higher temperatures and pressures to sinter to near 100% density. Figure 5. Sintered test slugs used to measure pore size and permeability. Sintering time and temperature are determined experimentally for each powder. The reason is that sintering conditions depend on the surface free energy of the powder, which increases as the powder size decreases. A smaller powder size will sinter at a lower temperature. To determine the optimum sintering conditions, tests slugs are fabricated at different temperatures; see Figure 6. Pore size and permeability are measured for slugs at each condition, and the optimum selected. Figure 6. 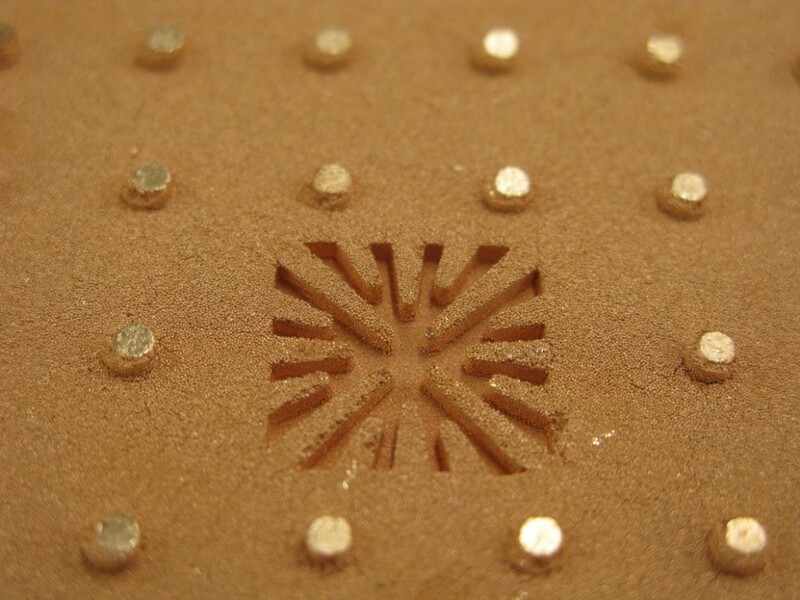 Sintered copper powder on a copper surface, constant sintering time. (a) Temperature T, (b) T + 75°C, (c) T + 150°C, (d) T + 225°C. If the slug is under-sintered, it will be friable and crumble easily. Over sintering will result in lower permeability and smaller pore size. 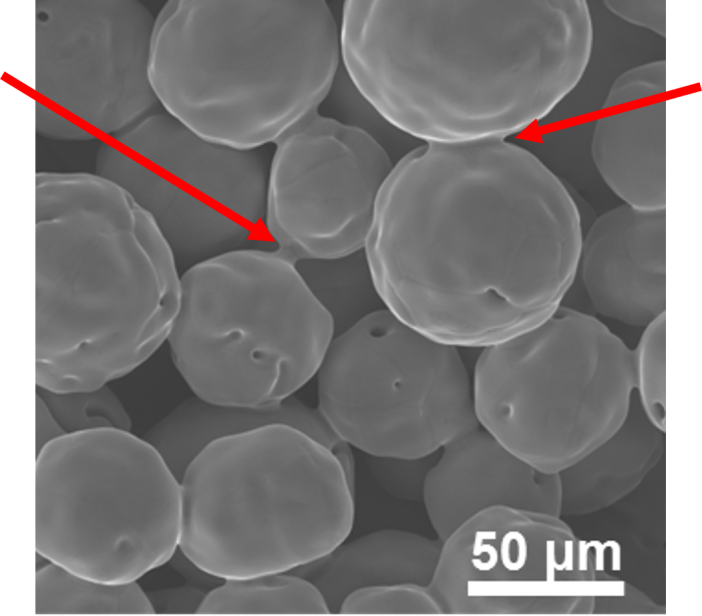 Figure 6 shows SEM photographs of spherical copper powder sintered onto a flat copper surface. Sintering time was held constant, and samples prepared at four different temperatures. Figure 6(c) and (d) are over sintered, with significant melting. 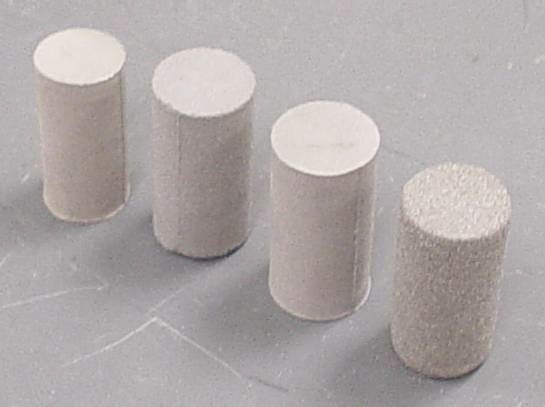 Sintered powders available range from spheres with fairly uniform sizes to irregular particles with a wide size distribution. A fairly uniform powder size is generally desirable. With non-uniform powders, fine particles can clog up the larger pores, which in turn reduces permeability. To obtain a uniform powder size, the particles are sifted through a series of screens, and only a specified fraction is used. The screens are stacked, with the coarsest screen on top, graded to the finest screen on the bottom. Powder is placed on the coarse screen and then vibrated, to let the smaller particles fall through the screens. The screens and powders are specified in terms of mesh size (holes/inch); see Table 1. For example, a -35+100 mesh powder means that the powder particles passed through a 35 mesh screen, but were stopped by a 100 mesh screen. This size is approximate, since the actual sizes caught in each screen also depends on the particle shape. U.S. Sieve Tyler mm in. U.S. Sieve Tyler mm in.